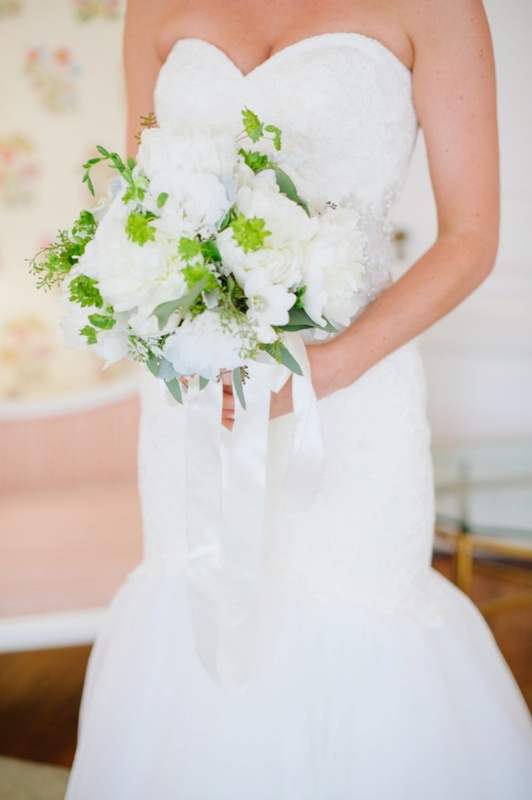 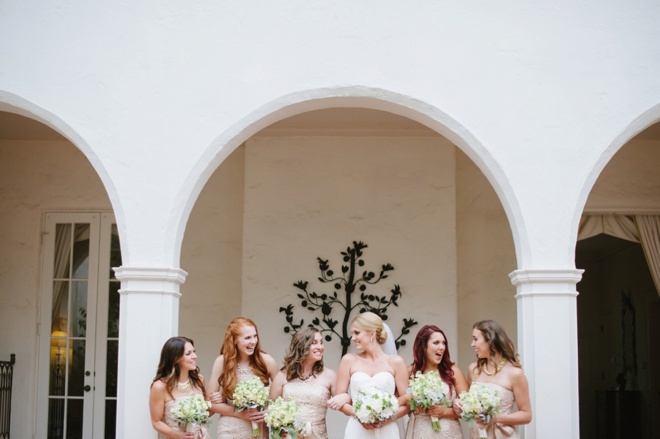 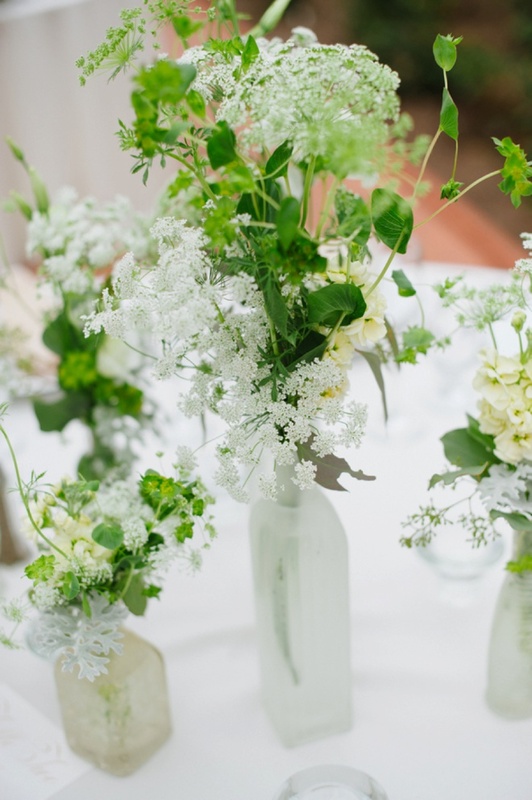 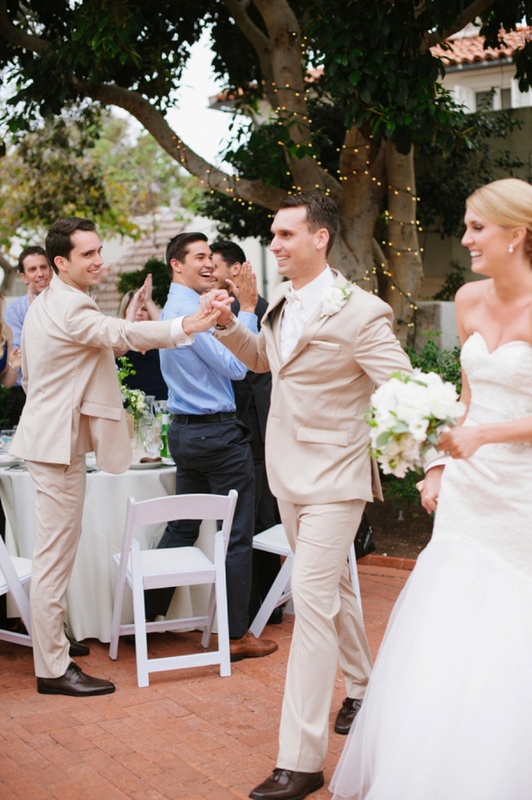 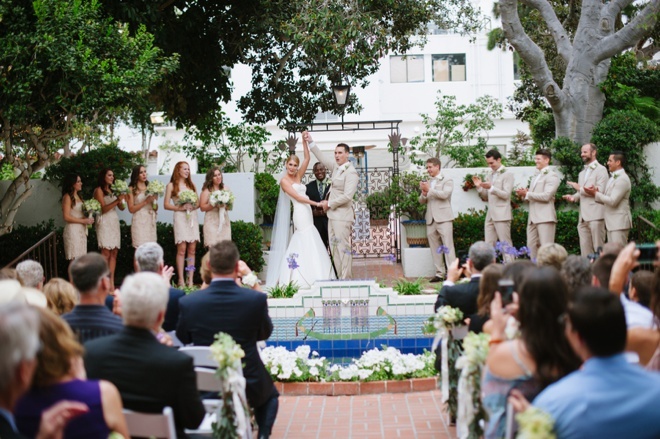 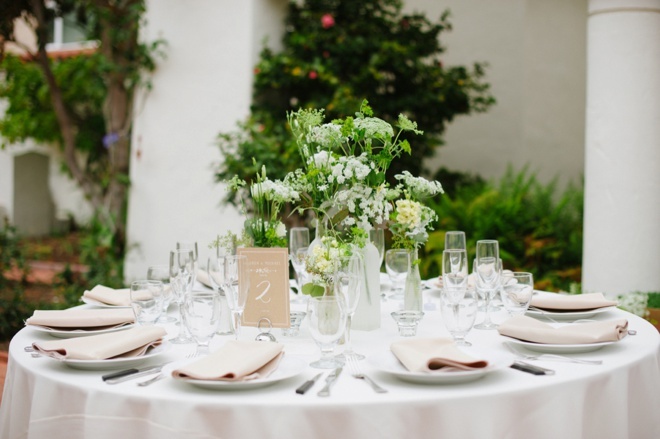 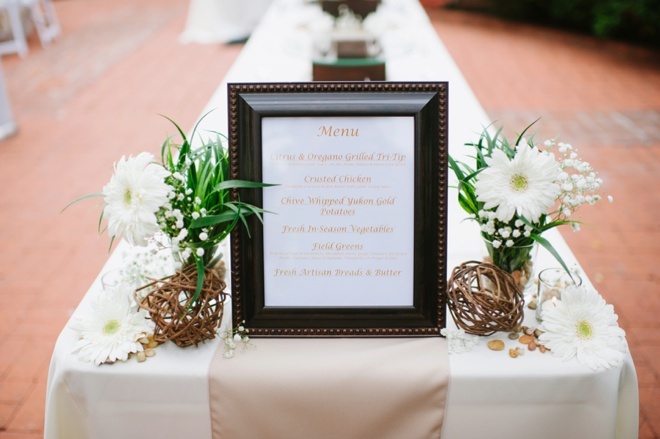 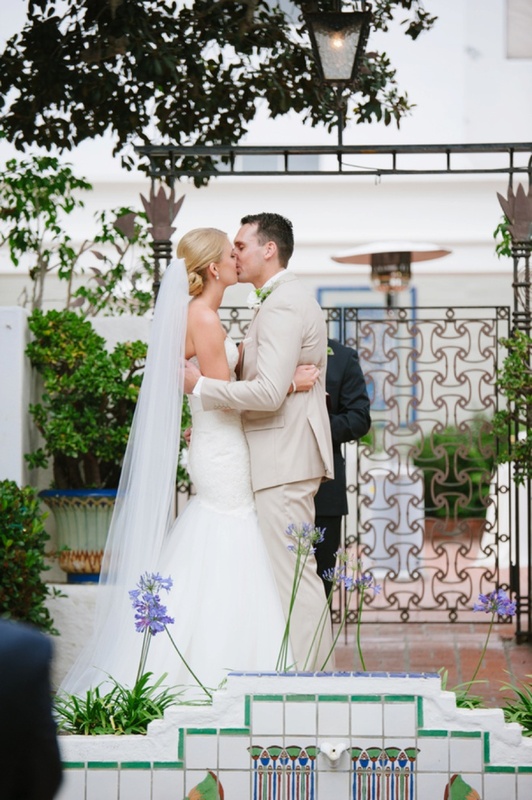 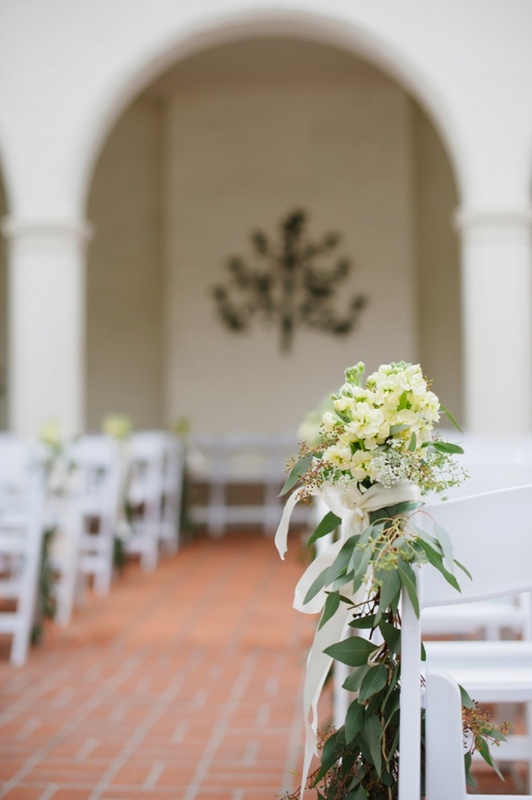 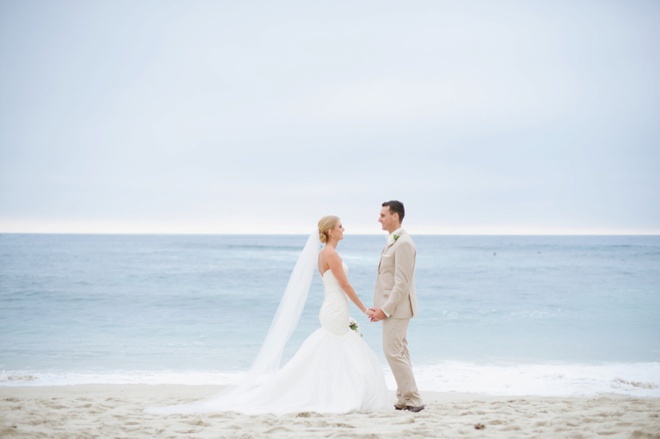 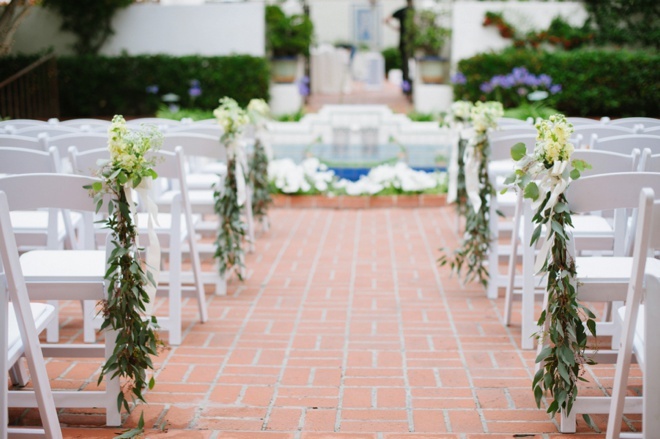 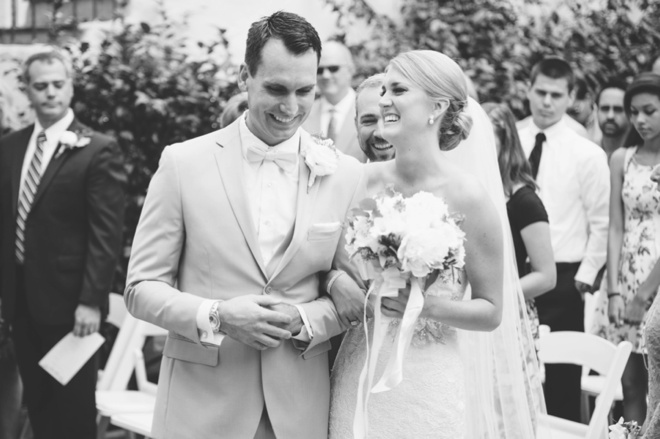 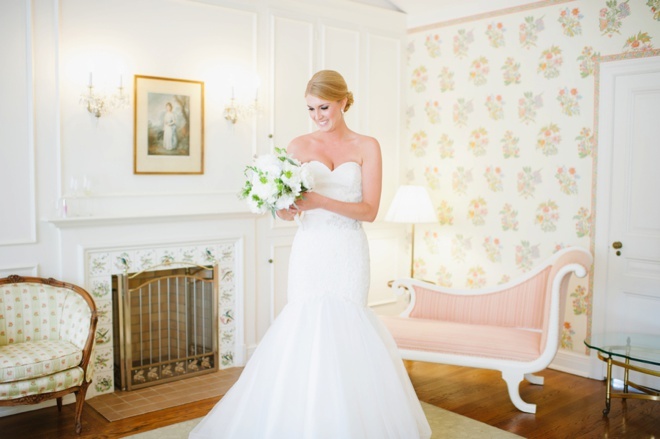 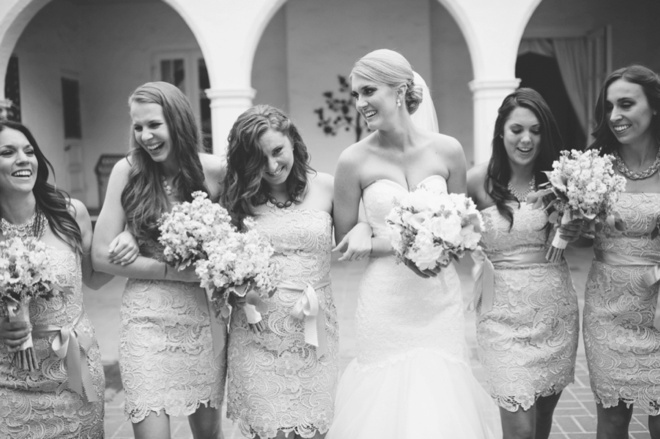 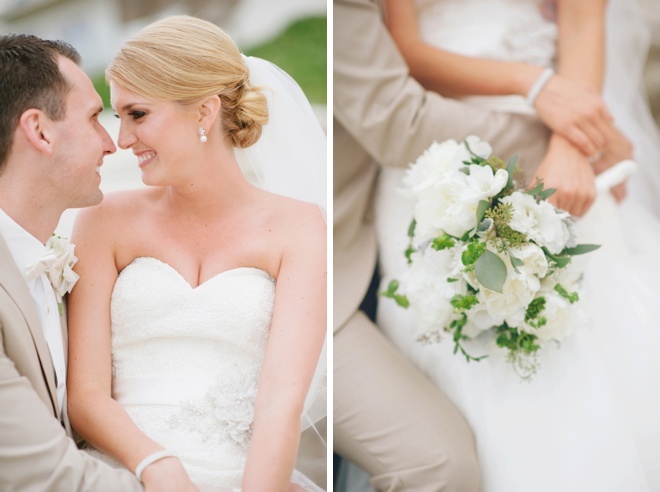 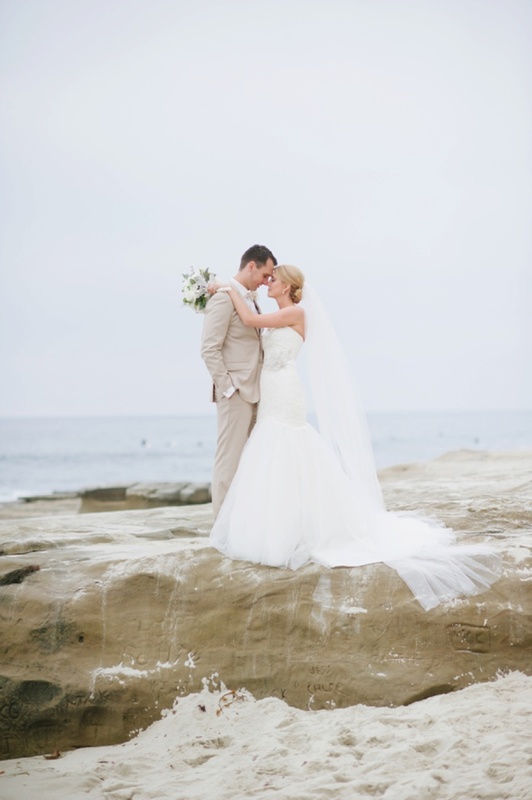 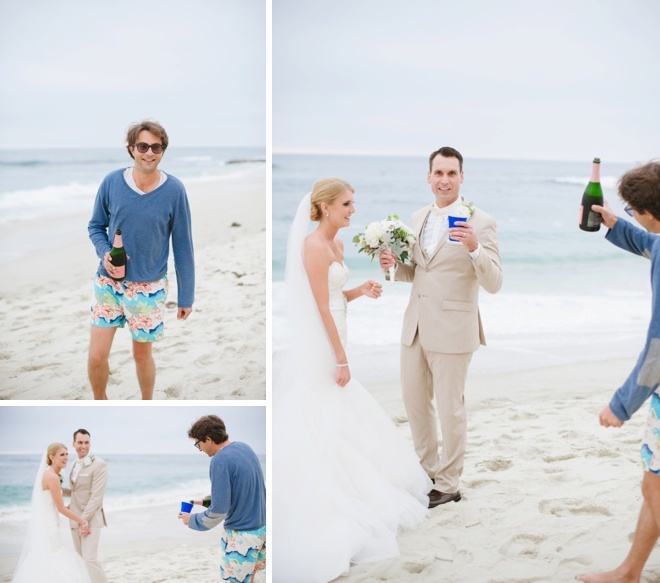 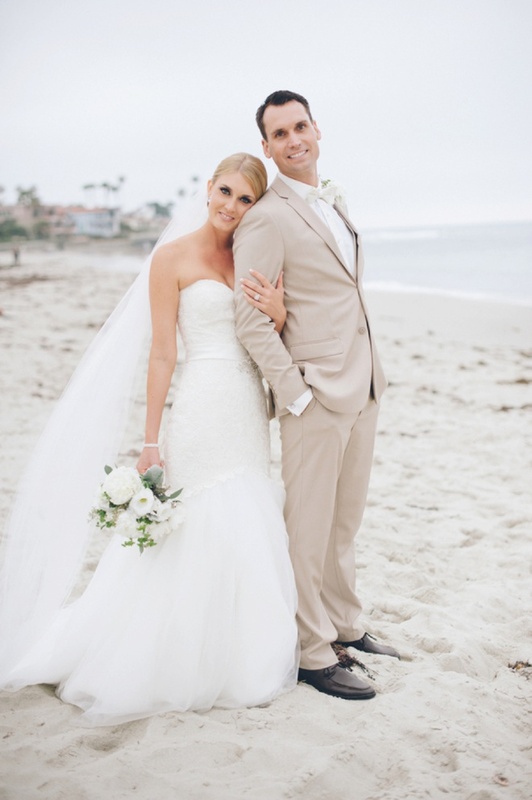 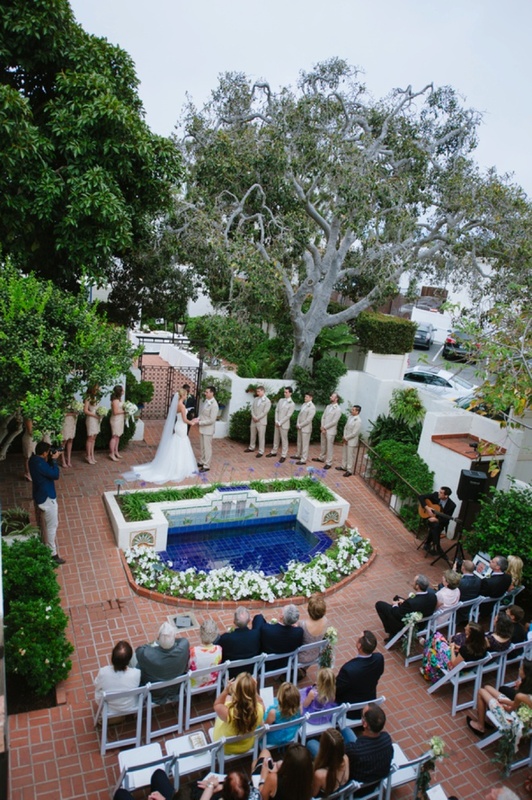 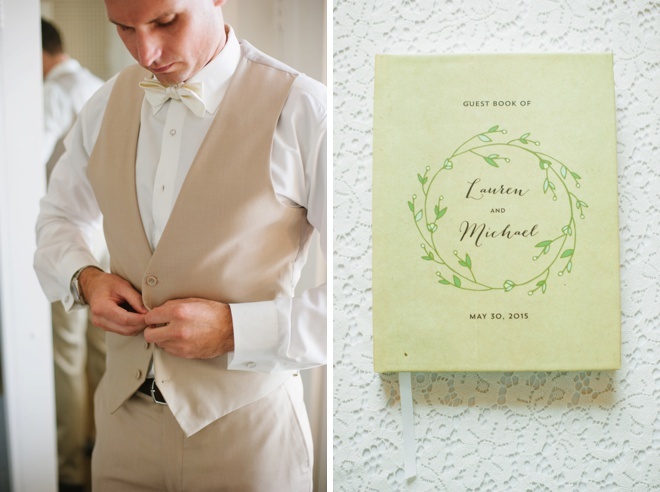 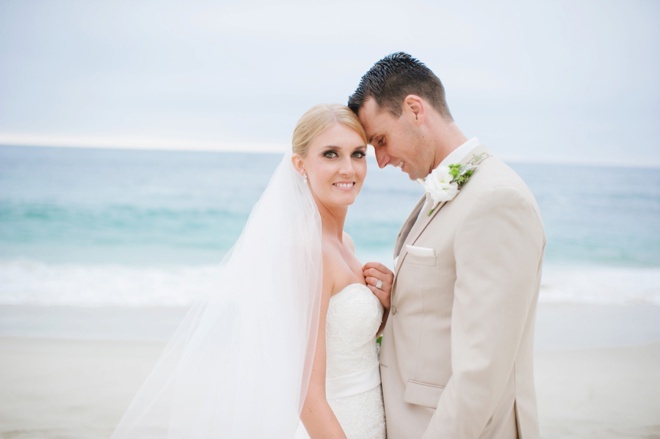 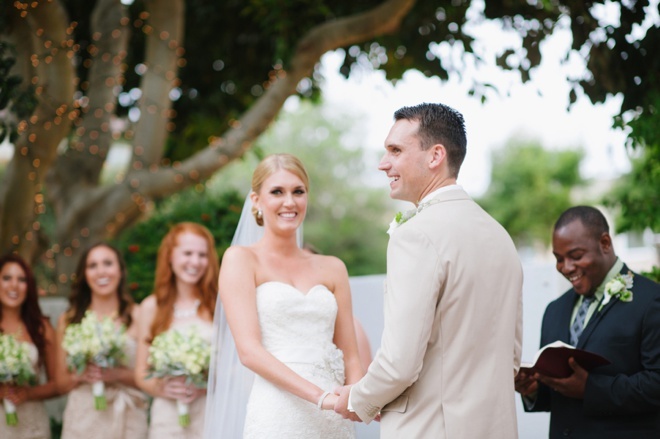 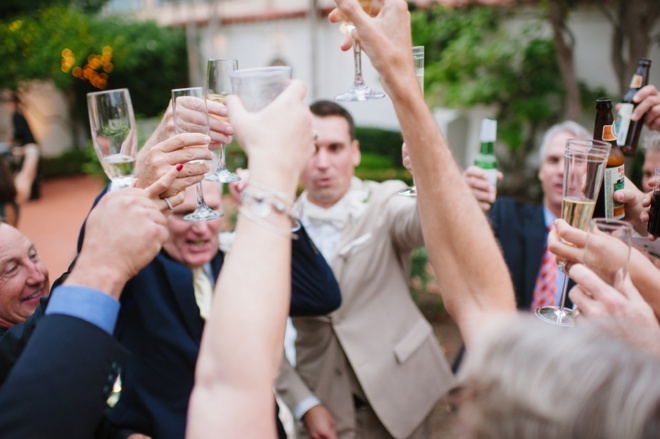 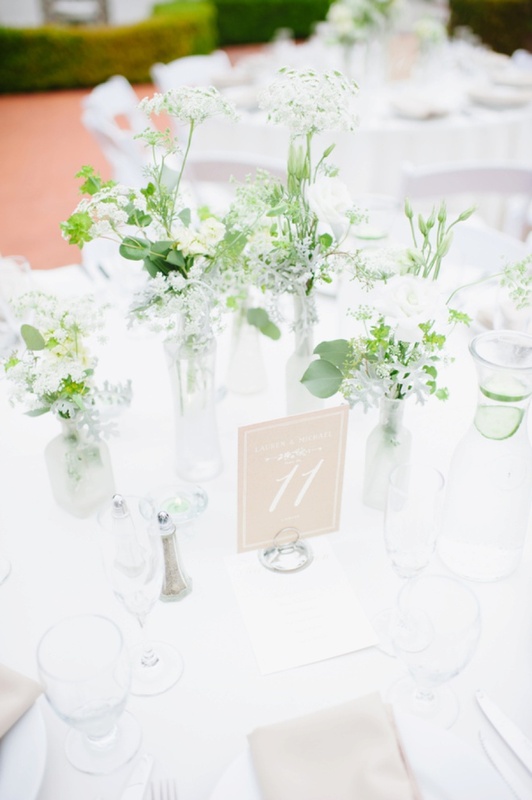 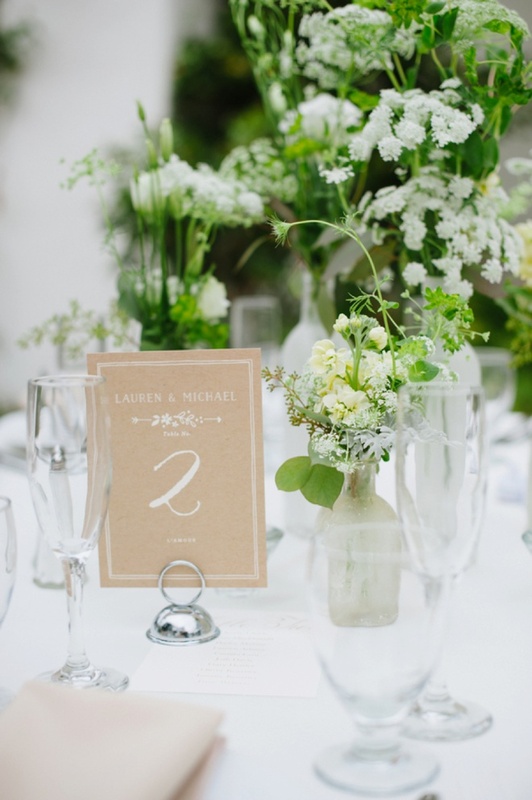 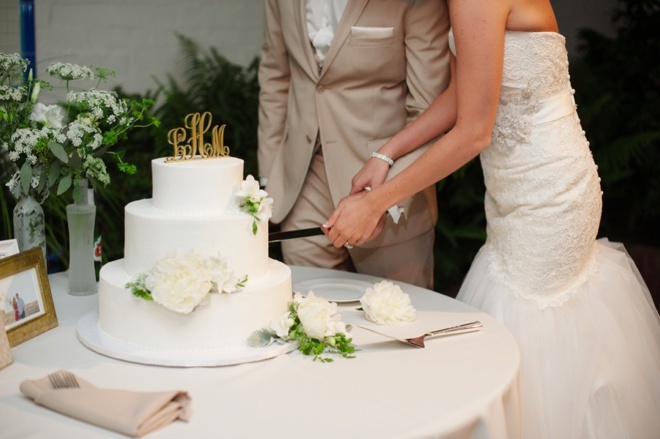 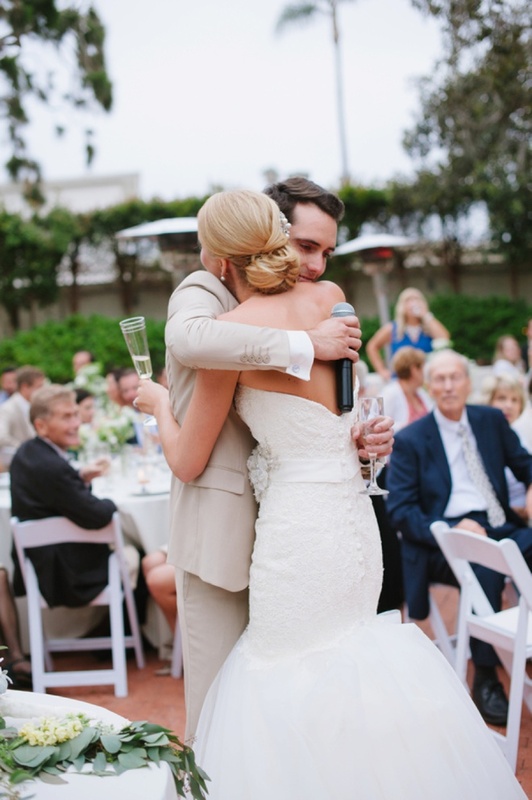 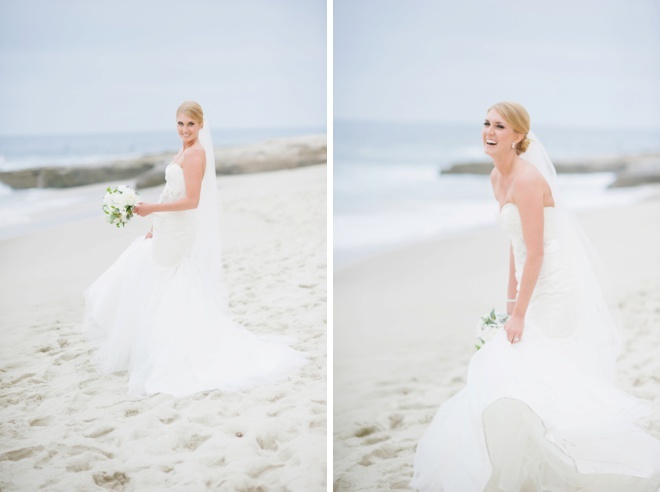 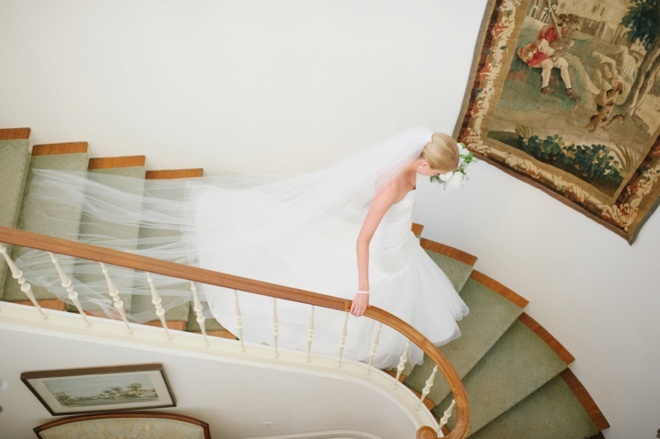 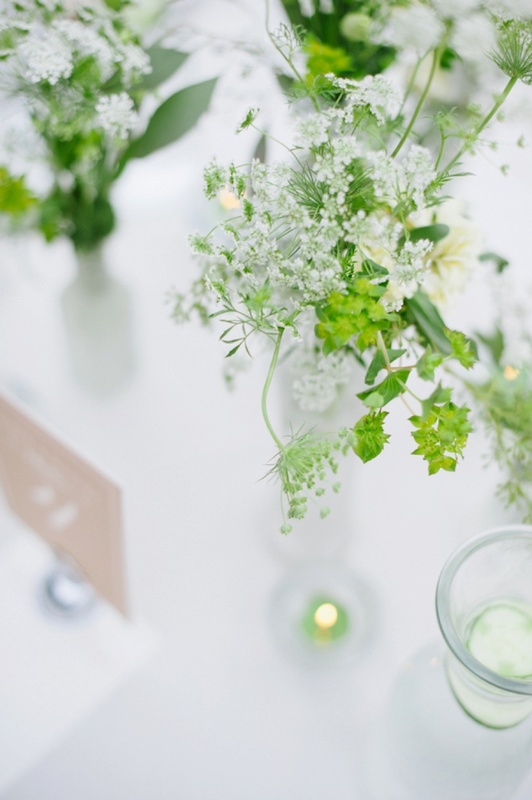 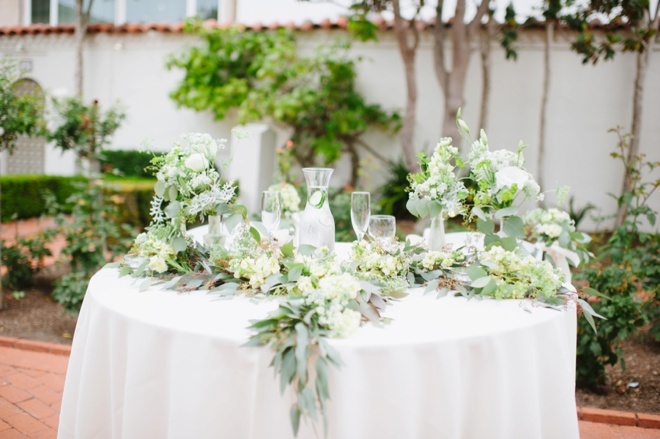 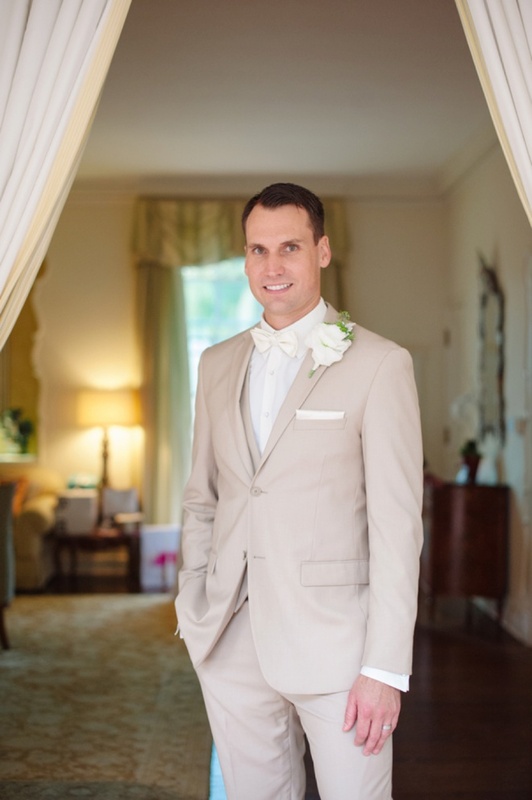 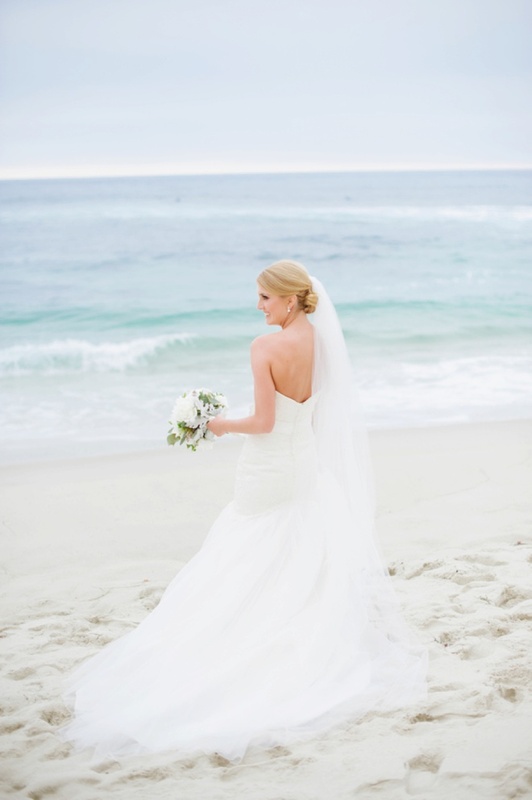 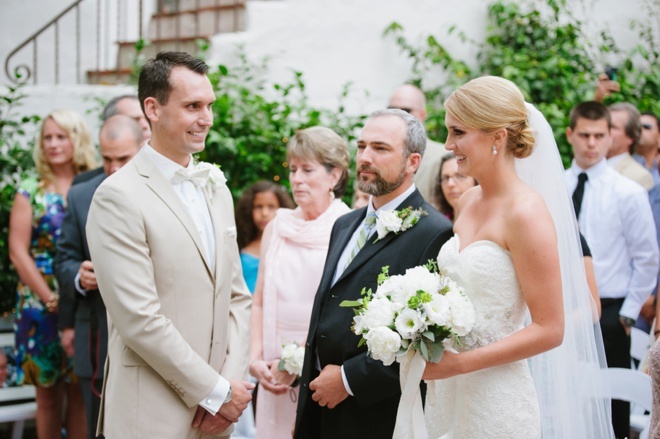 Gorgeous La Jolla wedding at the Darlington House! 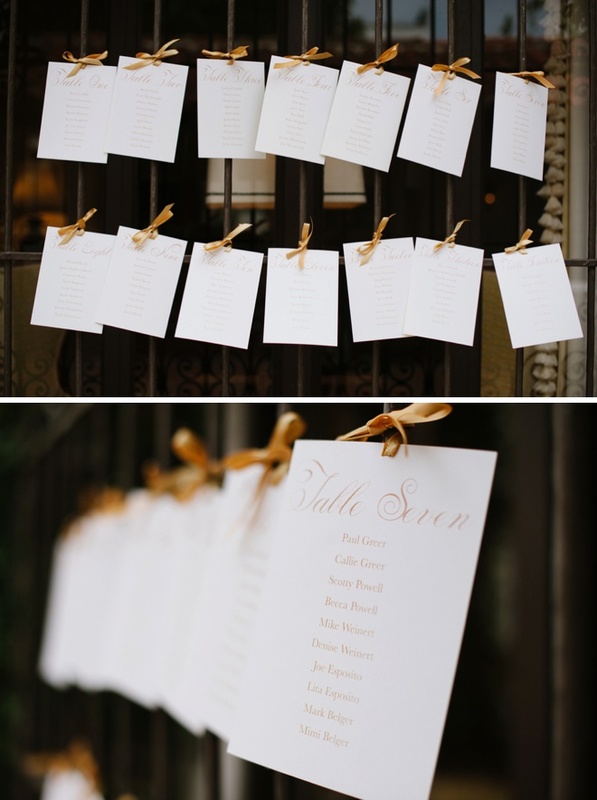 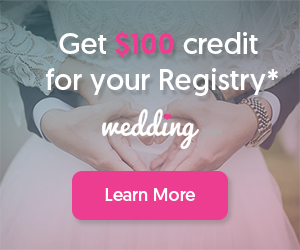 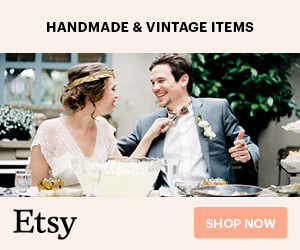 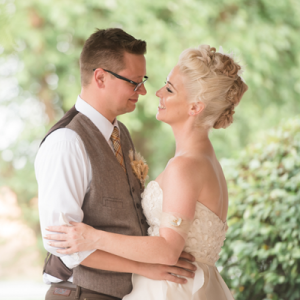 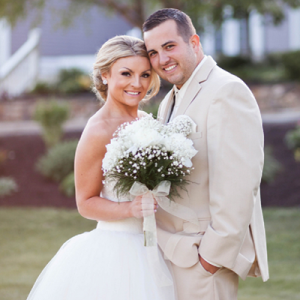 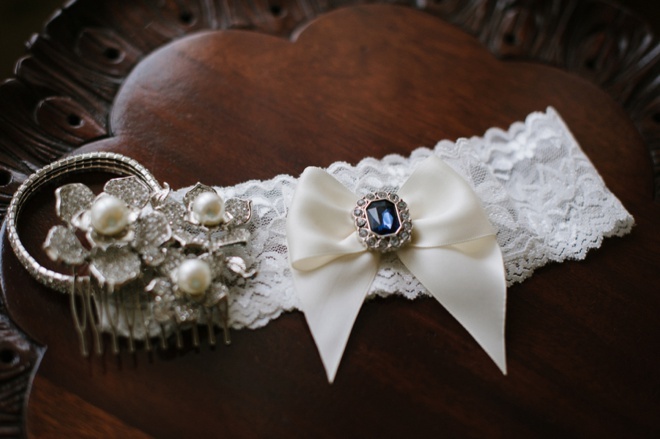 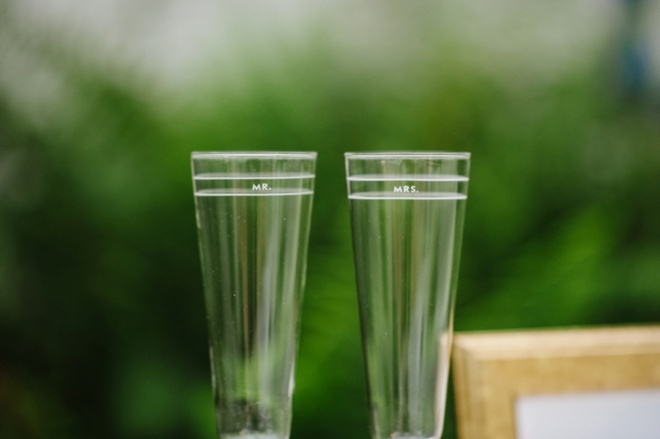 My husband and I by no means had an unlimited budget to put together our special day, so Etsy was a lifesaver for me in gathering lots of little details for the ceremony and reception. 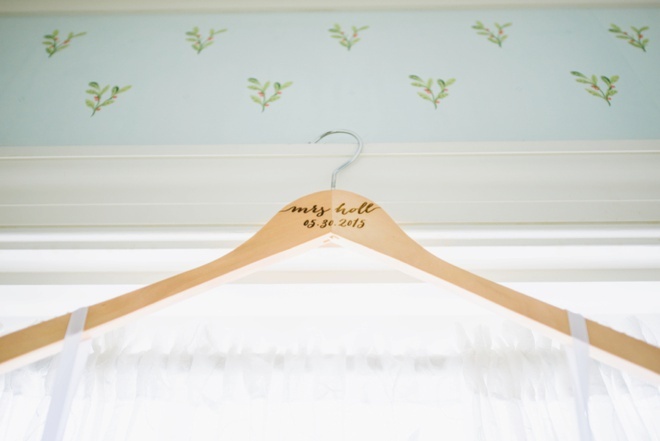 My sister and Maid of Honor, luckily, is a graphic design whiz and helped me design, print, cut, and hand tie ribbon to our programs and seating charts the week before the wedding. 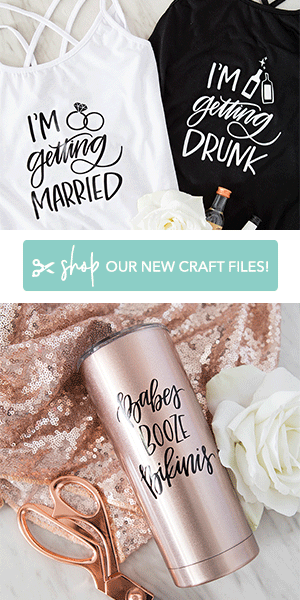 I also wanted to do something personalized for my bridesmaids. 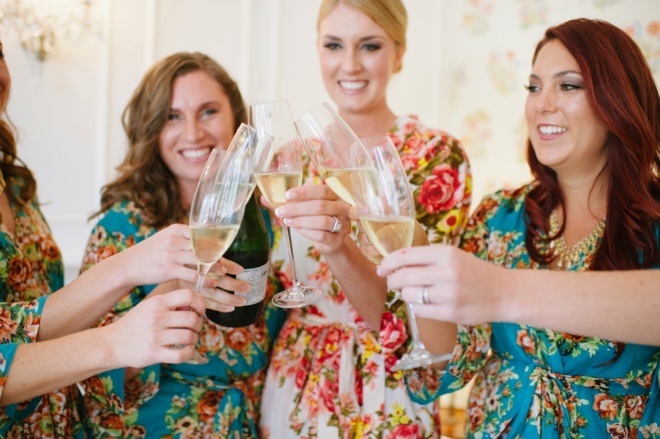 I handmade charms with their initials to put on their champagne glasses while we were getting ready before the ceremony, because sometimes popping a bottle of bubbly with your girlfriends it just what you need to calm your nerves and start the celebration. 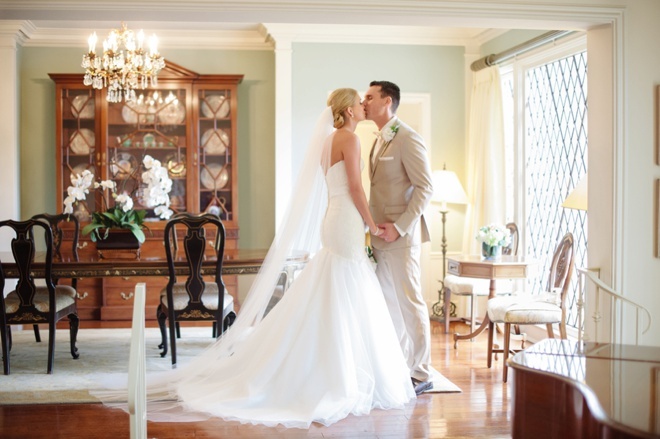 I also painted a few picture frames with pictures of some of our favorite memories to place around the entrance and reception for guests to looks at. 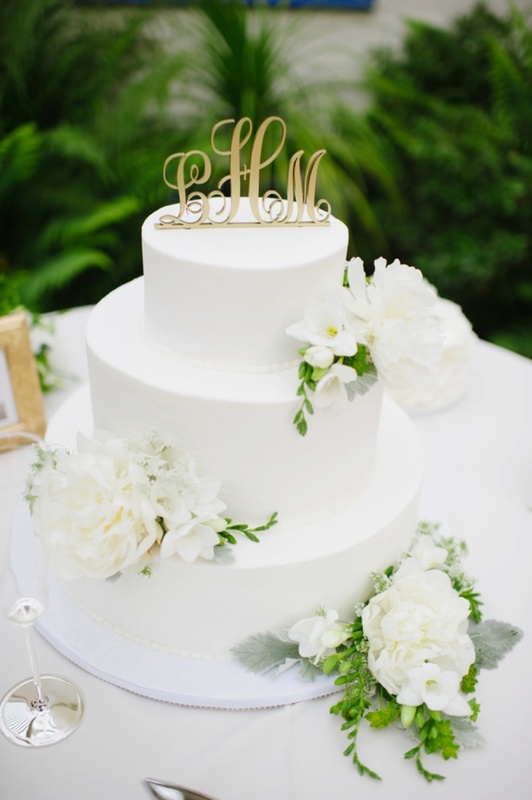 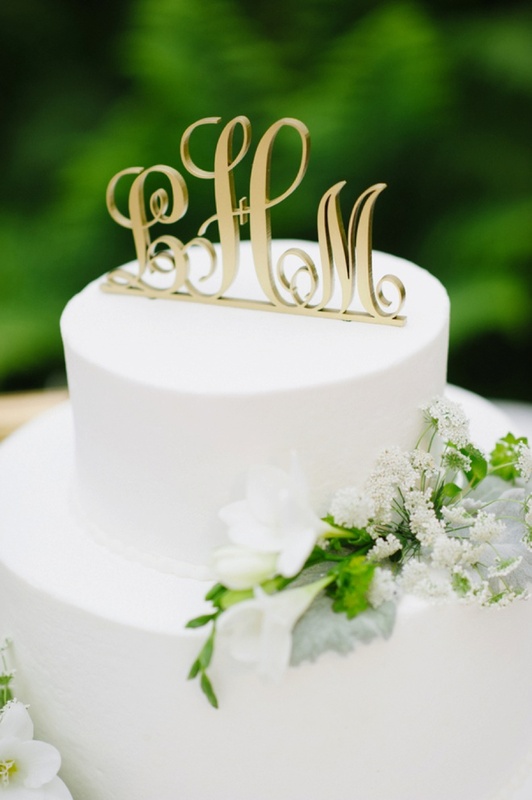 I also painted our monogram cake topper to match our color scheme. 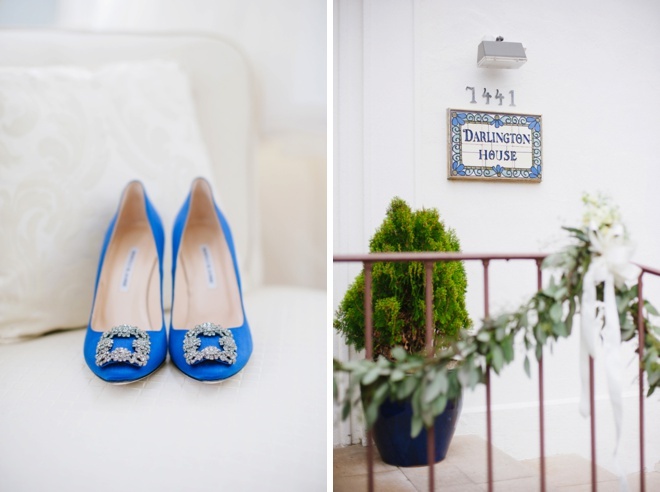 My dress easily accomplished my “something new” and I channeled my inner Carrie Bradshaw with my “something blue” shoes from Manolo Blahnik. 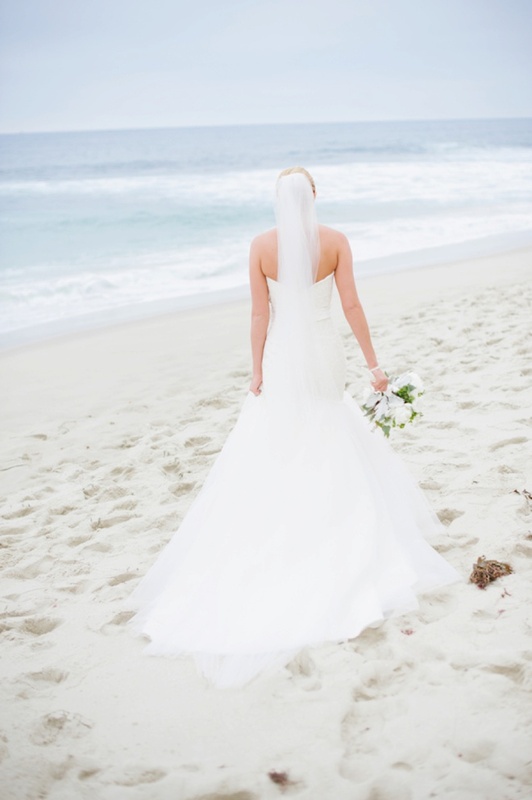 I struggled for a while to figure out old and borrowed. 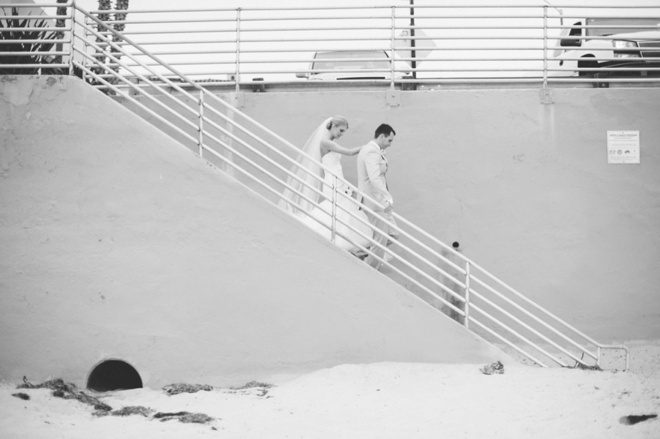 My Dad passed away about 6 years ago and I knew I wanted to do something special to incorporate him not only into the day in some way, but to have him there with me on such a special and memorable day, especially for a girl and her father. 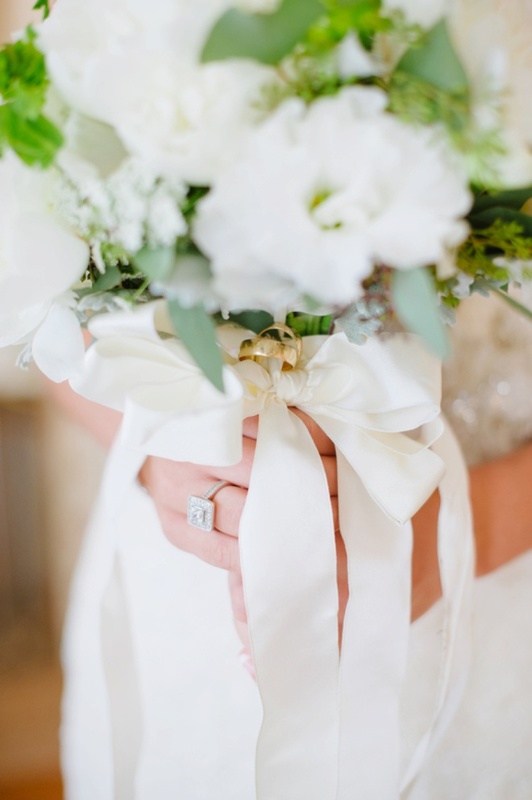 I decided to borrow my parents’ wedding rings and tie them to my bouquet for my walk down the aisle for my something old and borrowed. 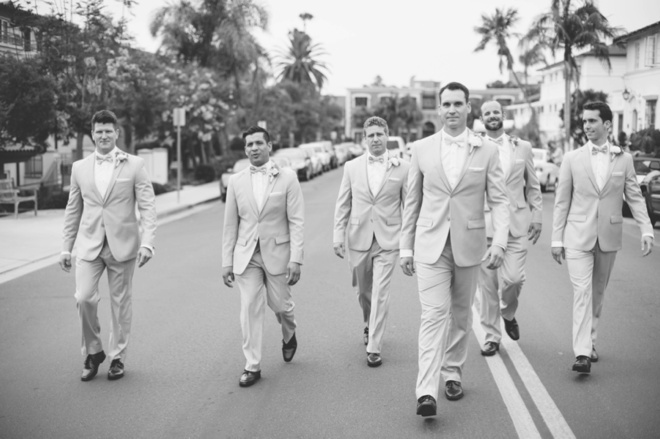 That way I was actually able to have a little piece of them right there with me as I said my vows.